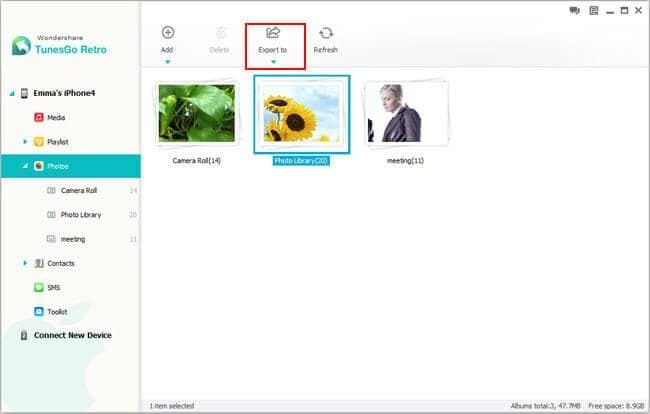 Saved many photos in your Photo Library and now you want to transfer Photo Library from iPhone to computerfor backup? As we all know, iTunes can only help you sync photos to your iPhone, but can do nothing to copy photos back to iTunes, let alone to PC. Thus, to copy Photo Library from iPhone to PC, you may have to search for other ways. If you care about this, you come to the right place. Here is a powerful iPhone to computer transfer that enables you to accomplish the task easily. It’s Wondershare MobileGo for iOS or Wondershare MobileGo for iOS (Mac). Download this iPhone to PC transfer on your computer! In the part below, I'll show you how to transfer iPhone Photo Library to your PC running Windows operating system. If you have a Mac, you should download the Mac version. The steps are also simple. Now let's get started! 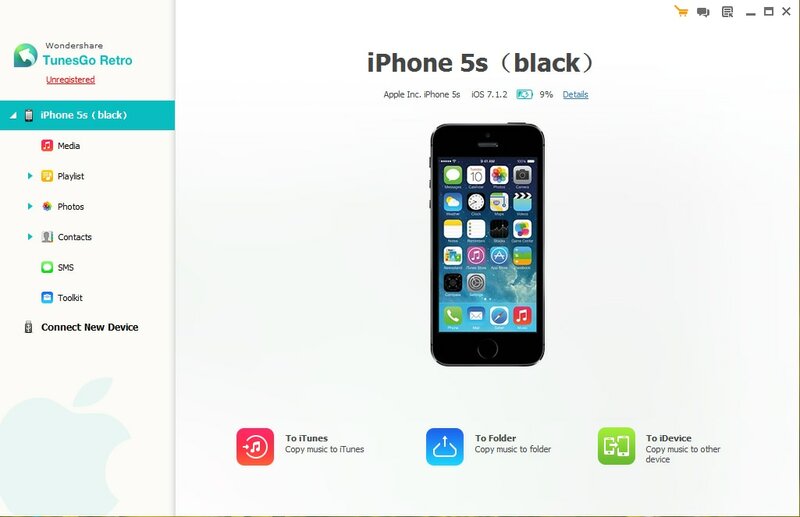 After downloading this iPhone to computer transfer, you should install it on your computer. Then launch it. Connect your iPhone to your computer via a USB cable. Then this iPhone to computer transfer detects and shows it in the primary window. Note: Please install iTunes on your computer before using this program. Now, it supports the latest iTunes 11. In the left directory tree, click the "Photos" button to bring up the photo window. Then, check iPhone Photo Library and click "Export to". This will bring up a small browser window. Choose a save path to store the exported Photo Library. Of course, more conveniently, you can just drag and drop Photo Library to any folder where you decide to save it. Additionally, if you just want to save part of the photos in Photo Library, you can open your iPhone Photo Library and then choose your wanted photos and click "Export to" to export them to any location on your computer. Or you are able to save them to an album by dragging and dropping. Note: MobileGo for iOS is fully compatible with all iPhones: iPhone 5, iPhone 4S, iPhone 4 and iPhone 3GS. It takes you only 1or 2 minutes to transfer iPhone Photo Library to PC. When the transferring ends, you should click "OK". Actually, besides Photo Library, you are able to export Camera Roll from iPhone to computer, delete iPhone Photo Library, and transfer photos from computer to your iPhone Photo Library as well.